The portion of Route 66 that goes through Arizona is adventurous to say the least. The road consists of switchbacks going up and down and over the mountains. My friend’s mom who was driving us was not particularly enjoying the harrowing turns and how the car hugged the edges of cliffs. Staring out the window at the breathtaking scenery I noticed something weird in the mountainside. As we got closer I realized it was a wrecked car! It looked so cool so of course I told everyone to look at it. She stole a quick glance and was not amused. That was the last thing that she wanted to see. 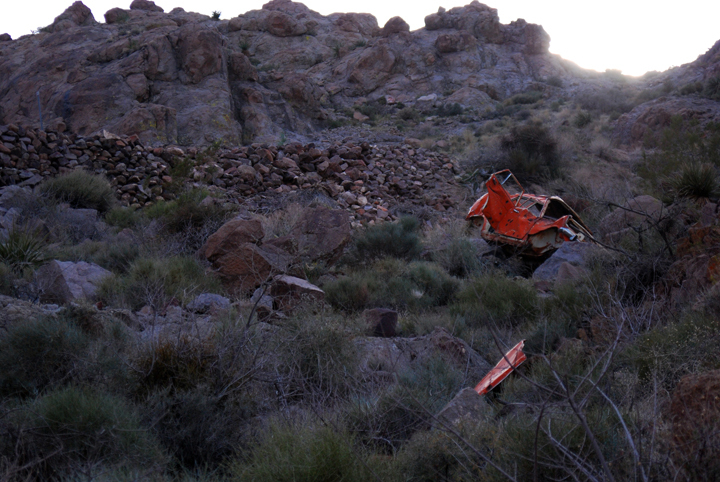 A vintage car wreck on the side of a mountain along Route 66.